Today, I’d like to share a couple of short stories that I find to be an easy way to get more referrals. And I’m sure that on almost any business you can do something similar. I have a client who runs a law firm here in Leicester, a lovely lady, she’s got a business partner, and there’s a handful of people in her office. I built them a website a few years ago now and, shortly afterwards, she sent a friend of hers to come and talk to me about a website for her business. So I phoned back in about five minutes and asked everybody what they wanted. Her first response was, “Well, some of us are on diets” My instant response was, “You know what? I can order salad if that’s what you all want.” And she said, “No, no. We’ll have the pizza.” So I ordered the pizza, had Domino’s deliver it, and all was well. The interesting thing was, it wasn’t too long later when her business partner referred a friend of hers who runs a business to us and she became a client too. As it happens, because of that one gesture with the pizza, we’ve won three other clients out of this single client and £20 worth of pizza. So, in my view, that was a very good investment. So I would like you to think: can you do something very similar? Can you say thank you to somebody for giving you a referral because what happens is psychologically, when you give something away, if it doesn’t cost you anything, it isn’t anything tangible, it’s almost like doing someone a favour. But, when you give something tangible back in return by way of thanks, whether that’s a pizza or something else that they can hold in their hands, it suddenly becomes that much more real in their minds. And interestingly enough, even though they’ve done you a favour by giving you a referral, if you give them something physical in return by way of saying thanks, that becomes much more than just giving away a referral. And, funnily enough, psychologically they feel that they owe you. But here’s another quick story that worked out quite well. I had a very good client who worked with me for a while, we built him a website and helped him develop some marketing in his business. Of course, it was very profitable for me and it turned out to be very profitable for him too. 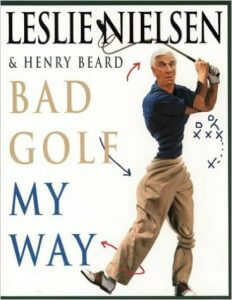 But again, as a gift, I went to a bookshop and I ordered a copy of Leslie Nielsen’s book ‘Bad Golf, My Way’ . But I knew that this guy was a golfer and I knew that he had a good sense of humour. I knew he was constantly complaining about the fact that he was hacking a lot of his shots around the golf course. So I bought him the book and put it in the post to him with a quick note on it, “Thanks very much for being a great client. This is a small token of my appreciation for using me as a website builder and a consultant.” Interestingly enough, he told a whole bunch of people that I’d done this. I didn’t ask him to, it just happened because, as I said, when you put something tangible into somebody’s hands, it becomes very real to them. When you do some work for somebody and, if there’s nothing tangible and they can’t touch it, it’s an ethereal thing. But, when you put a physical gift into their hands, suddenly something happens in the brain. And believe it or not, even though they may have done you a favour, they feel like they owe you. Now, I’m not saying this is a psychological trick to play. All we’re doing is leveraging the power of the mind. But this guy went on to refer another two clients to me. So my question to you and my mission for you is that you go out and find a way in an inexpensive fashion to go and say thanks to those who help you — thanks to clients who have been good to you. Sometimes things don’t go so well and you have to say sorry to a client, give them a gift. Don’t give them money off. Give something physical and tangible that they can hold in their hands because, psychologically, it has a much greater impact than something ethereal like money off, or added services, or extra this. So, my mission to you: can you say thanks? Can you give people gifts that A) don’t cost you a lot and, like the book, B) could be potentially tax deductible as a business expense and C) that you can put in their hands? Because I promise you that giving something to saying thanks is far more powerful than just saying thanks. It’s more powerful than sending a quick email, or even writing up a testimonial on your website. Giving a gift to say thanks switches something on in the brain and it makes them think about you in a totally different way. And believe it or not, just giving away a £10 book turned into many thousands of pounds worth of extra business. 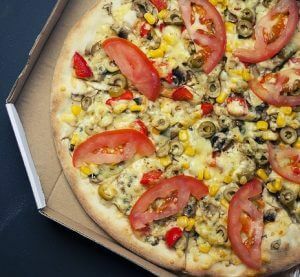 Spending £20 on pizza turned into a couple of thousand pounds worth of extra business because no one does it these days. Nobody says thanks with something tangible. Even if it’s just a thank-you card, it’s more than most people would do. So I hope you realise that really is an easy way to get more referrals so go and do it. If you’d like some help with ideas for getting more referrals (or more clients generally) then give us a quick call on 0116 3552194 and we’ll chat about how we can help.